The Distillery History District, often just referred to as the Distillery District, is one of Toronto’s most famous locations. Since opening in 2003, it has become Toronto’s premier arts, culture, and entertainment district. The cobblestone streets are full of historic brick buildings, hip restaurants, art galleries, boutiques, and sculptures. 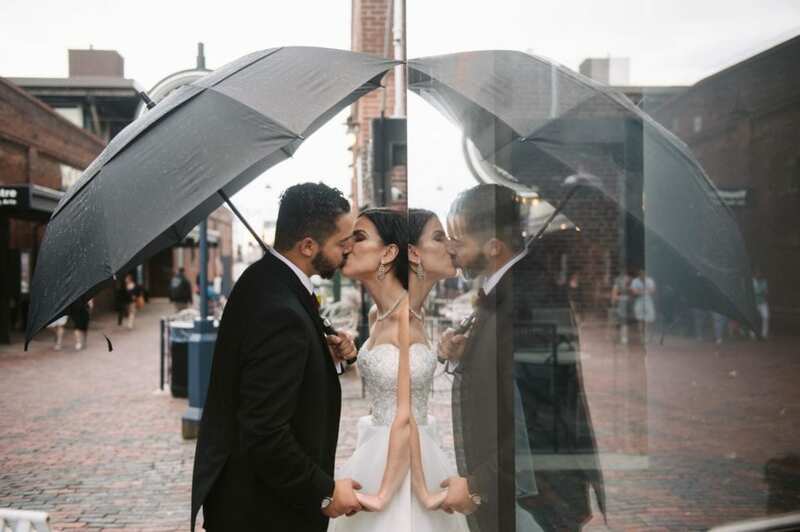 Our Toronto wedding photographers love shooting engagement and wedding photos at the Distillery District. Its walk-only environment means no competing with cars, and the historic building and arts vibe is the perfect backdrop for beautiful photos. The area offers tons of fun items to shot with too besides just the brick buildings. There are “love lock”, the giant heart, the clock tower and so much more! The quaint streets and romantic alleyways provide tons of opportune shots. Not only is the public area great for engagement or wedding photos, but the Distiller Historic District also has one of Toronto’s most popular wedding reception venues. The Loft is located in one of the Toronto’s oldest buildings and makes for a beautiful wedding location. 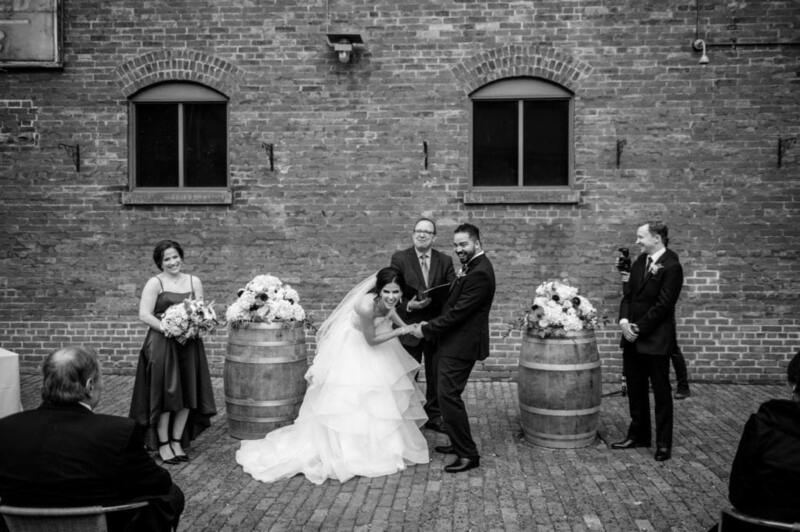 No matter what your wedding style is, the Distillery District works well as a venue. The old brick buildings provide a vintage charm that compliments and contrasts any wedding style. Our wedding photographers love the contrast a soft white wedding dress makes against the rugged red bricks. If you want more than beautiful architecture and stunning art, we recommend stopping by during the annual Christmas Market hosted here. Though often crowded, the seasonal decorations and twinkling lights make for some stunning photos, if you can withstand the cold! The Distillery District during the winter months is one of our favorite wedding venues to shoot at. The Distillery Historic District offers something for everyone, architecture, art, culture, entertainment, and a beautiful wedding venue. We’ve taken pre-wedding photos, engagement photos, and wedding day photos here, all with stunning results. Feel free to look at our wedding photographers past work shot here! If you’re planning a wedding please contact us today to book one of our amazing Toronto wedding photographers and videographers!